Gallerie Zuger hosts their annual artist showcase during the Santa Fe Indian Market August 19-20, 2017. The event kicks off with a traditional breakfast honoring the late Gib Singleton and his legacy of world-renown bronze sculpture. 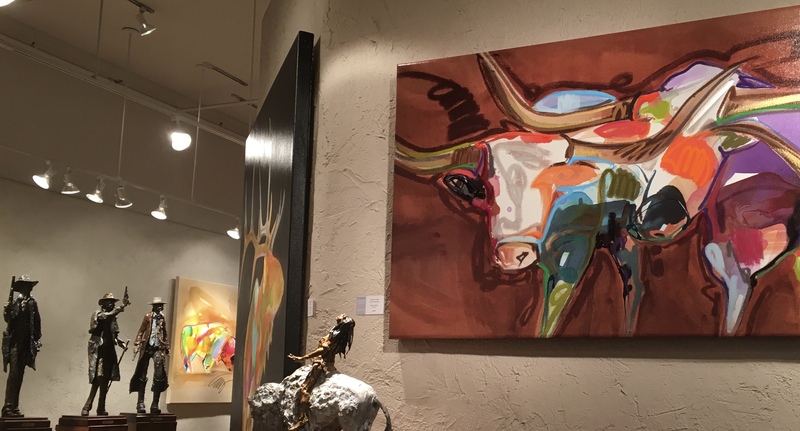 Contemporary paintings with artists in attendance are Carrie Fell and James Jensen together with leather works of Chan Liu Miao and the ceramics of Woodrow Nash. Other works available includes original paintings and graphics by Earl Biss, Frank Howell, Antal Goldfinger, Shawndell, Adam Stewart, Britten, Alvar and Michael Atkinson.